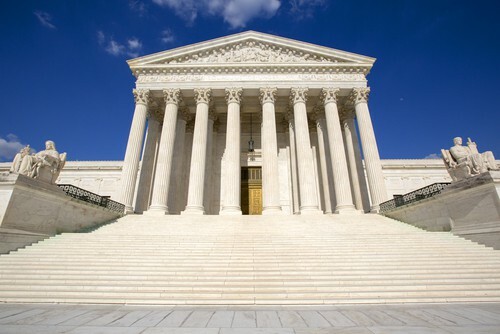 Monday marked the beginning of opening arguments in a Supreme Court case aimed at attacking public employee unions and destroying the middle class. In Friedrichs v. CTA (the California Teacher’s Association), the right for states to mandate union dues among the public employee sector is being challenged. Rebecca Friedrichs, a California teacher, served on her union’s executive board and championed the CTA’s mission for many years. After changing her views about the union, she and nine other teachers, along with the Christian Educators Association, filed a lawsuit against the CTA, claiming that paying union dues as a fair share member is a violation of free speech. As a fair share member of her union, Friedrichs dismisses the significance of the CTA and says she never asked for representation. Yet she had no problem accepting the pay increases and insurance benefits that were negotiated by the CTA on her behalf. Governor Bruce Rauner also took this opportunity to sign the case petition in support of taking away union rights. His ultimate agenda is converting Illinois into a Right-to-Work state, which would diminish fair wages and benefits for all of our members. The increased strength of unions across the country equate to a stronger and bigger middle class with a louder voice. We are going to be following this case and keeping our membership updated as it relates to the livelihood of our union. For more information, please visit the California Teacher’s Association at www.cta.org.